Julie Hollingsworth is a retired educator with 32 years of experience in public education including 30 years with Fort Wayne Community Schools. 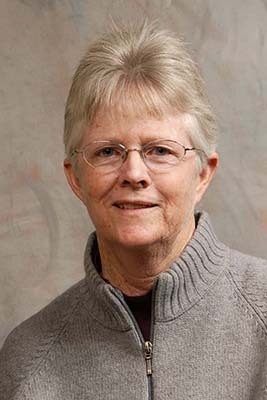 As a high school mathematics teacher she taught algebra, geometry and advanced algebra, as well as 12 years of Advanced Placement Calculus. She was a head basketball and softball coach and served as the Elmhurst athletic director for 5 years. In 1998, Ms. Hollingsworth was awarded the Fort Wayne Women’s Bureau Nancy Rehm Award for contributions to local women’s sports. Glenna Jehl is a realtor with Olinger & Associates, Inc. She traveled extensively as the daughter of a career naval officer; attending various public schools in the United States and at overseas military bases in Asia and Africa; eventually graduating from Kenitra American High School in Morocco. Having had the privilege of living all over the world, she gained a deep appreciation for diverse cultures and societies. 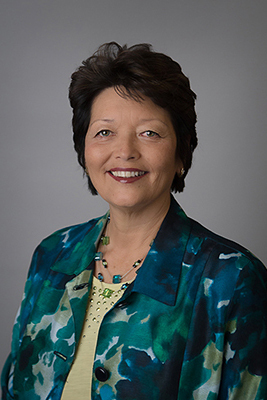 Glenna became the first member of her family to attain a college degree when she graduated from the University of Notre Dame with a BA in International Relations and Japanese. Upon graduation, she married Steve, a native of Fort Wayne, put down roots here and raised five children. She now also enjoys two wonderful grandchildren. Glenna was inspired by the Jehl family legacy of 50 years of involvement in the development of Northeast Fort Wayne and giving back to the community in many ways, including involvement in Georgetown Little League, the Lifetime Sports Academy and the University of Saint Francis Football. Over the years, Ms. Jehl has served the community by volunteering in various civic organizations including being active in the Republican Party, her church, SAFY, a foster care agency and the Crossing School. 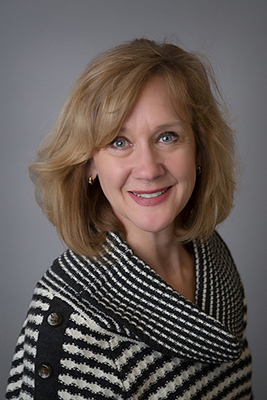 She serves on the FWCS Board because, "My involvement with agencies that dealt with troubled foster-care children and dropouts has made me keenly aware that we need to do all we can to help our children and our youth become successful in life. A superb education is the best way to ensure our children have an opportunity for a brighter future and the ability to compete for jobs in the 21st Century. I look forward to helping FWCS place a greater emphasis on educational programs of excellence. I will work to improve academics so each high school graduate will be ready for college (without the need for remediation) or are well equipped to step into challenging careers. I want to see our schools transformed into model schools that other communities will emulate and families will want their children to have the opportunity to attend." Jordan Lebamoff lives in the house his grandfather built, the house where both he and his father grew up, the house his children now call home. The Lebamoff family has always been a part of the Fourth District and always will be. Ensure that our schools have the teachers, programs and classes necessary so children can learn and achieve academic excellence. Keep FWCS accountable, insisting that it operate efficiently and in a fiscally responsible manner and ensuring tax dollars are spent wisely. Be the ears and voice of the Fourth District on the School Board. Being tied to the Fourth District by bonds of tradition, he is committed to it because he believes that the schools are stronger by working together. Steve Corona is the Executive Director of Latinos Count, a non-profit organization focused on sending more Latino youth to college. Mr. Corona is also the longest-serving member in history of the Fort Wayne Community Schools Board of Trustees, having served since 1981. In addition to the FWCS Board, Mr. Corona serves on the National School Boards Association (NSBA), the National Association of Latino Elected and Appointed Officials (NALEO) and was recently elected to serve on the board of the Indiana School Boards Association (ISBA). 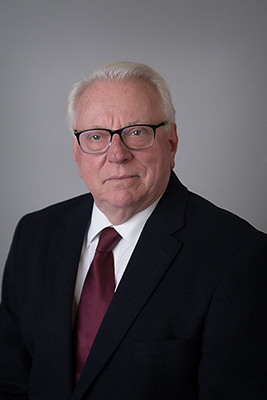 He also serves on the City of Fort Wayne’s Redevelopment Commission and is a member of the Board of Trustees for the University of Saint Francis. Mr. Corona is owner of two companies, Corona Consulting, specializing in marketing and organizational development for businesses and nonprofit organizations, and Pedaling for Good LLC, operator of Le Tour de Fort, bicycle pub crawls supporting disabled American veterans. Mr. Corona was the 2015 recipient of the Father Tom O’Connor Light of Christ Award presented to him by The Most Reverend Kevin Rhoades, Bishop of the Fort Wayne-South Bend Catholic Diocese. 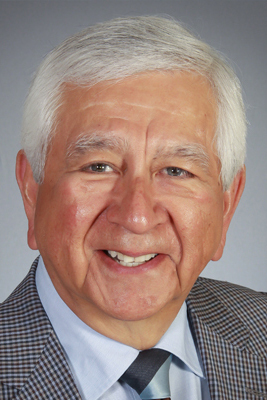 Prior to retiring in 2012, Mr. Corona served nearly 30 years as President and CEO of JobWorks, a nonprofit job training organization. Mr. Corona is a graduate of Indiana University with a Bachelor’s degree in Radio and Television. He has been married 40 years to Colleen and they have four children and eight grandchildren. Anne Duff is a stay at home mom who, along with her husband, Lenny, is currently raising their three children, Danielle, Camille and Dillon. Anne has been active in the Fort Wayne community, including the Junior League of Fort Wayne, where she served for two years as the Chair of the Bargain Box thrift store, Junior League’s largest fundraiser at that time; and the Bunche-Towles PTA, where she served for five years in various officer positions. She is also active in her neighborhood association and has spent time on its board. She is a graduate of the 2002 class of Leadership Fort Wayne and recently retired from employment there, working part time for the organization, assisting with both the adult and youth programs. She is a member of Northeast Indiana Friends of Public Education, an organization with a mission to inform and start community discussion about the impact of education reform measures that have created an over-emphasis on testing and have turned over public education to private interests. Anne holds a bachelor’s degree from Ball State University in French and a master’s degree from IPFW in Counselor Education. She has 16 years of experience as an educator and guidance counselor in public schools. Maria Norman is the Student Information Systems Business Analyst for the web at Purdue University Fort Wayne. She maintains the Student Portal and the university’s mobile application. 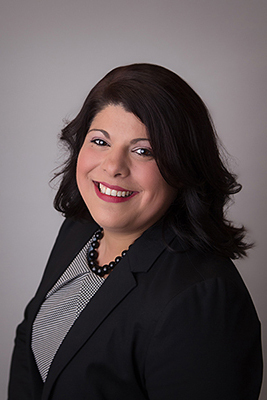 She is a life-long resident of Fort Wayne and graduate of Fort Wayne Community Schools, Maria attended Irwin Elementary, Portage Middle and Elmhurst High schools. Maria became the first member of her family to attain a college degree when she graduated from DePauw University with a BA in Art History. She is currently working to finish her Master’s degree in Public Management from Indiana University Fort Wayne. During her time as a graduate student Maria focused on issues that public schools face: public school financing, accountability and how legislation affects our schools today. While in graduate school, Maria was inducted into two honor societies for academic achievement: Pi Alpha Alpha and Phi Kappa Phi. Maria married fellow Elmhurst grad, Amos, and together they have one son, Elijah, who also attends FWCS. They proudly live in the Historic Fairmont Neighborhood. She serves on the board because, "Education is my passion. I’ve seen how having an education can change someone’s life, for the better. I want every student in Fort Wayne to benefit from a great education. I will work tirelessly to represent the students and families of the Fort Wayne community."